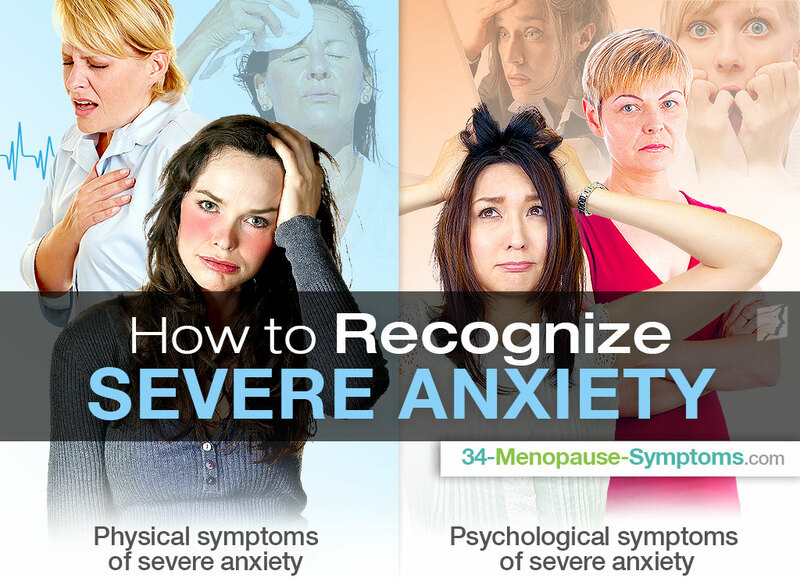 While some level of anxiety is common - even likely - among many women at some point during their life, it is important to be able to recognize what is not ordinary, and might in fact be considered severe anxiety. In this case, it is possible to get professional, medical treatment, but also to undertake some helpful coping techniques at home. Find out more about the symptoms of severe anxiety, and how severe anxiety attacks can be managed. There are a number of physical and psychological severe anxiety symptoms. Awareness of these is very helpful in order to equip you with the correct knowledge about acute anxiety, so that you might be able to identify it in yourself or a loved one. It is generally unlikely that a sufferer of a severe anxiety disorder will experience all of these symptoms, all of the time, but it is usually possible to recognize at least four - if not more of them. They may not happen simultaneously, and might seem to come and go sporadically. Concentrating on your breathing can have tremendous effects on anxiety. There are a number of methods to choose from, such as slowly counting from one to ten, sitting still and breathing in out of your nose with your eyes closed, or various yoga practices. These can quickly soothe your mind and alleviate anxiousness. If you are struggling with your emotions - either momentarily or long-term - it can be helpful to talk to another person about your experience. Voicing our thoughts can often allow us to organize them more easily, and thereby clarify any issues we are facing. During an anxiety attack, it can be especially therapeutic to listen to some favored, calming music. This can serve as something of a distraction, and allow you to clear your mind slightly, and process your thoughts more easily. Many women find that to undertake some physical exercise - whether this be swimming, jogging, yoga, or something different - works wonders for alleviating attacks of anxiety or panic. Exercise releases endorphins in the brain which can vastly improve overall mood, and time spent exercising can allow you to contemplate and ideally understand some of the causes of your emotions. Acute anxiety disorder can cause occasional or even frequent nervous attacks in many people. Awareness of your personal triggers can be very helpful, but sometimes attacks are impossible to avoid. If this be the case, understanding some coping methods is advantageous in order to help you through the period.